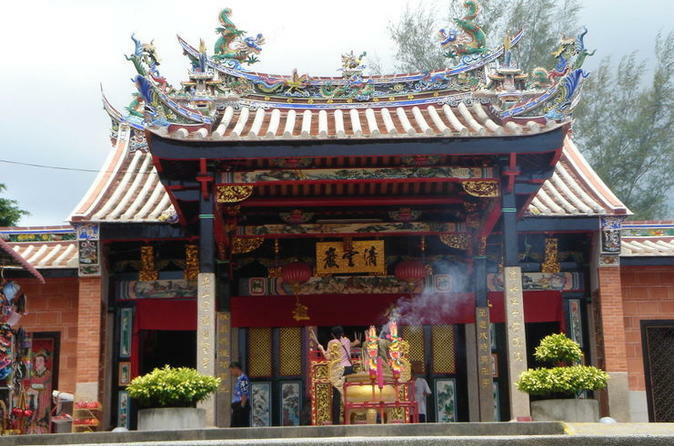 Visit top sights in Penang on a half-day tour that includes a ride on Penang Hill Railway and a tour of Kek Lok Si Temple and Pagoda of Ten Thousand Buddhas. On a clear day, you can even take in views that extend from Georgetown over to mainland Malaysia. You'll travel with an expert guide who explains the history behind some of Penang's top landmarks on this tour, which includes pickup and drop-off at your Penang hotel. 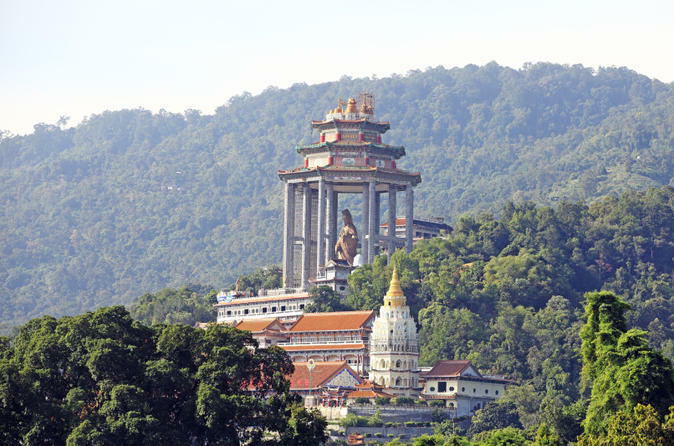 Explore Penang the 'Pearl of the Orient' from its sandy shores to the quaint countryside. Visit a traditional Batik Factory, Snake Temple, International jewelry factory and a Malay Kampung (village). A great way to experience Penang in a nutshell! Penang has perhaps the largest and well preserved colonial-era old town, with excellent examples of Chinese clan houses, colonial homes, public buildings and private mansions. Visit Little India and exciting Chinatown, and make a stop at the world famous Royal Selangor and the Penang Museum. 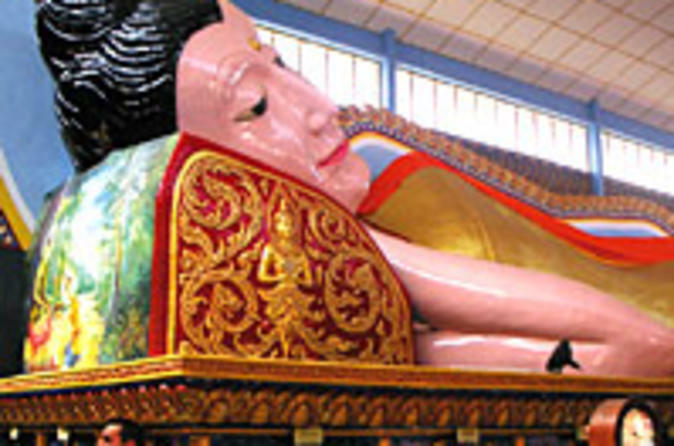 Before the day is over stop at Wat Chayamankalaram to see the big reclining Buddha. 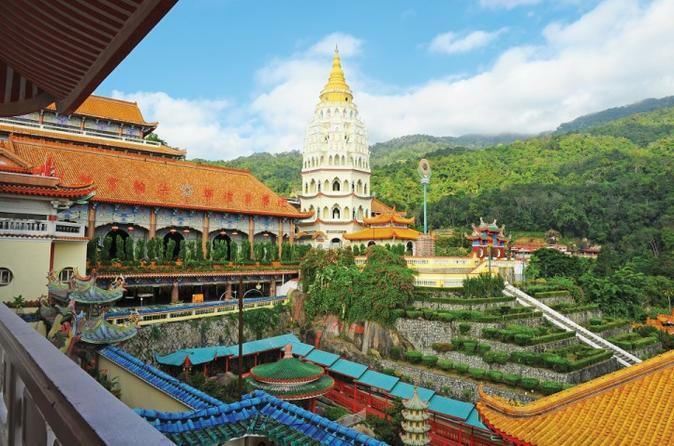 Visit Kek Lok Si Temple, Pagoda of Ten Thousand Buddhas, and ride the funicular railway up Penang Hill (Bukit Bendera) on this private half-day tour. Suspended above a hillside is one of Southeast Asia's largest and most beautiful Buddhist temples, featuring a seven-tiered pagoda and a bronze statue of Guanyin. From atop Penang Hill you’ll enjoy sweeping views of Georgetown all the way to the mainland of Malaysia. Round-trip hotel transport by private vehicle is included. 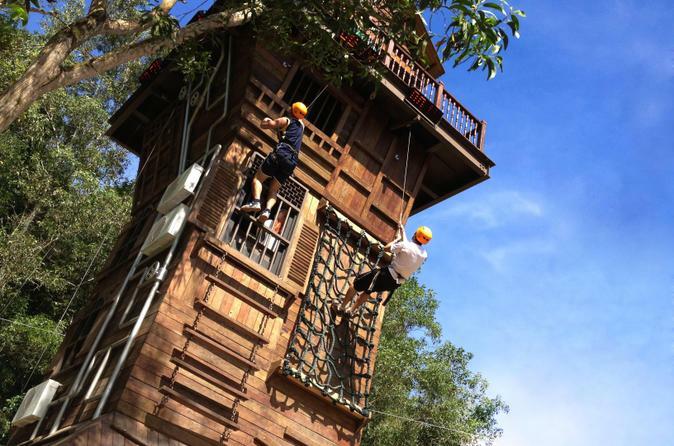 Bring the family to ESCAPE Adventureplay Theme Park, Penang’s world-class eco-theme park, for a day of adventure amid natural surroundings. A full-day entrance ticket gives participants of all ages the opportunity to climb and swing through the trees, slide downhill, zipline across a ravine, and pan for treasures. With at least 16 amazing attractions to choose from, including exciting games and activities for younger kids, it’s one destination not to be missed! One-way transport by air-conditioned minivan from your Penang hotel is included with your admission. 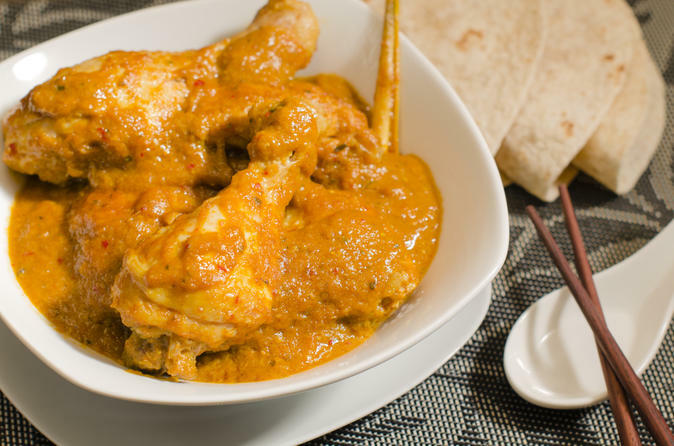 Penang showcases some of the best street food with Malay, Chinese and Indian cuisine. On this 3-hour walking tour you get to sample more than a dozen delightful snacks, drinks and desserts. With as many as 10 stops, you’re able to savor tasty bites while exploring the city’s historical streets, markets and hidden back lanes with a local foodie guide. Numbers are limited to a maximum of 12 to ensure a personalized experience with a small group. Be a part of an exclusive group as you venture through Malaysia's Georgetown Heritage area. 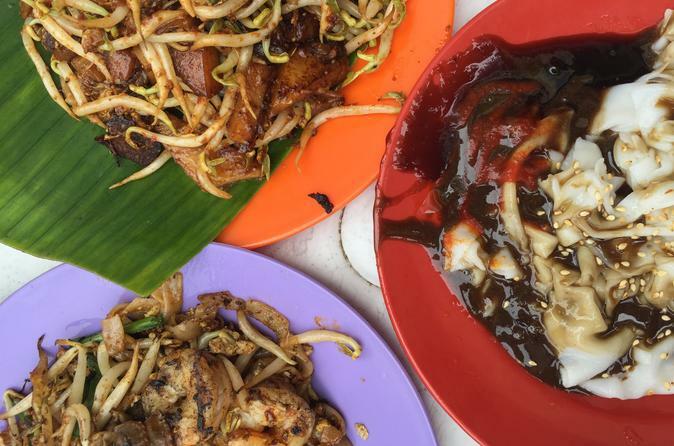 Be hungry for food and knowledge as your local Penang-born tourist and food guide walks you through each step of the way on this food trail. Savor delicious local cuisine which the forefathers of Georgetown has kept alive as we unveil the history and heritage of this area. End the food trail by mixing up a cocktail or mocktail with the guide of a bartender. Be ready to eat, learn, drink and have fun!